Thanks for reading today, everyone. Now I’d love to hear from you. Are you on a ketogenic diet? How’s your thyroid? What feedback, stories and questions do you have? Be well and take care! 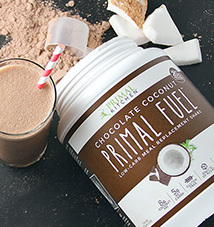 Next post >Want to Upgrade Your Primal Cooking Experience? Great article Mark. Back in Russia, I was always told in winter months: eat some lard before going outside to stay warm. It is a folk knowledge that fat in food helps to not freeze outdoors. Now I understand why! Interesting article. I always learn something from these posts, thanks again, Mark. As usual, I seem to be an outlier. I had a very unpleasant experience a few years ago while trying to lose weight on a keto protocol. I did lose weight (a lot) but as you said, “went around shivering all the time”, had no energy and my cholesterol numbers were not good. I stopped the keto program and went back to what works for me and everything normalized pretty quickly. Everyone is different, eh? Me, too! I stubbornly kept working the keto angle WAY too long, inspired by people’s amazing results. I was cold, my hair fall out, I lost my period,… I thought keto would solve blood sugar control issues (sorta prediabetic), so I worked it harder when I didn’t get the results I wanted. But, then I tested for fasting insulin levels and leptin which were VERY low despite my being normal weight, so my body thought it was in starvation. I was hungry all the time, no matter how much fat and protein I ate. Snooping around in literature, I found that dietary fat can make people insulin resistant, and that varies WIDELY depending on the person. So, I switched to a very low fat diet, lost weight without effort, normalized blood sugar, and now am stronger than I’ve even been in my life! Hi Jenny, I’d like to know more about what you did to guide your diet change…I’ve been dealing with hair loss and lack of my menstrual cycle for several months and I can’t help but to think it’s a result of my keto woe. No problem. To state the obvious, I’m biased towards AncestralSupplements.com but Drrons.com also has a good thyroid product and good service! Thanks so much for including this info; I just placed my first order with Ancestral Supplements for the Thyroid supps. I eat liver but not often enough (maybe one good feed every 3 weeks) so may try their liver supps with next order. Thx again.. Curious, where do you buy grass fed thyroid? I’m totally open to eating offal and other “odd” bits – been known to indulge in delicacies like liver, gizzards, kidneys, tripe, marrow, lungs, pork brain and maybe even turkey testicles at one point – but I cannot just walk into a butcher’s shop and ask for grass fed thyroid. Drrons.com. He’s associated with WAPF. All kinds of desiccated grass fed organs. AncestralSupplements.com has the exact same desiccated thyroid as Drrons.com but price is much more reasonable. I swiched to Ancestral Supplements six months ago. Exact same thing. Sill very good results. Different price. I am curious about that too. I do not have the appetite for that kind of thing, but I am willing to use it as a nutritional supplement. From what I understand, there is a difference between fasting and starving. Starving is not getting food over many days. Fasting is not eating for a long while, but still getting enough food before and after the fast. 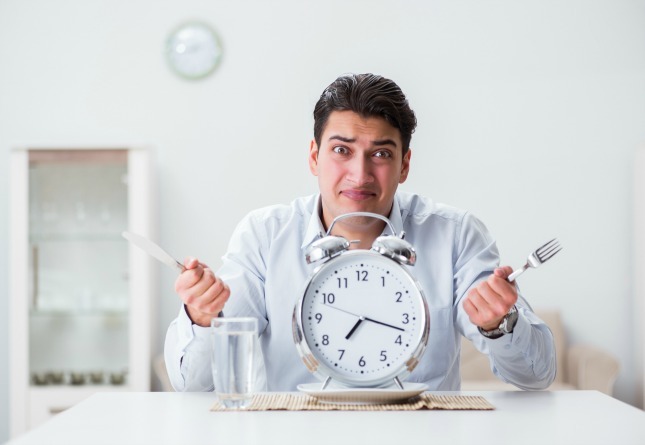 Fasting doesn’t drop metabolic rates, but starving does. I think he’s saying that people who are on keto can inadvertently eat too little so intermittent fasting can then turn into starving. From an evolutionary standpoint it makes no sense for the body to get weaker if it is starving. Of course there is a limit to how long you can go on your fat stores but if you still have fat stores then you still have energy to burn. What I have noticed on 5 day fasts is that I am even more alert and ready to go on the 5th day. the biology of the metabolism lowering during starvation is that if food is not available, then you can live much longer on your fat stores with a lower metabolism than you can on a high metabolism, which gives a better chance of surviving until the next successful hunt or harvest. That is intuitive but incorrect. Fasting is different from starving. i agree with it, and the Biggest Loser studies support it. Calorie restriction leads to a reduction in metabolism. When I was eating 16/8 for a long period of time, and trying to lose weight so eating at a 500 calorie reduction, my body thought I was starving and cut back my metabolism. No matter how little I ate, the weight stayed. But I think they key might be that I am small so my normal TDEE is about 1500 calories. In order to lose weight I was eating about 1000 calories. I suspect that is just too little to keep you out of starvation mode, because larger people I’ve talked to don’t seem to have this problem. I think you just need a certain number of calories a day in order for calorie restriction to work. I switched instead to longer fasts, 1-3 days at a time, making sure I eat at least my TDEE on feed days. That allowed the weight to come off. 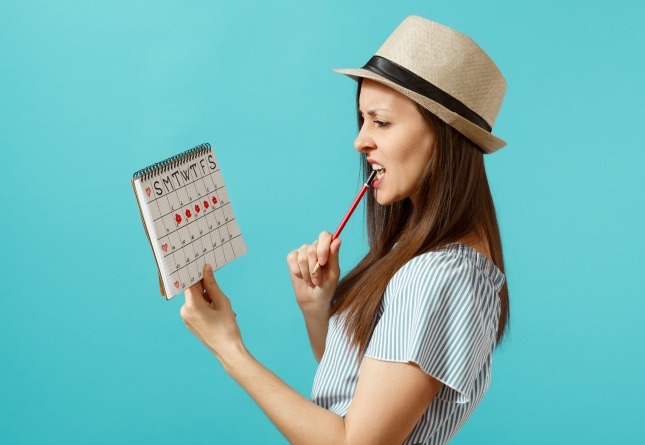 The difference is that when we RESTRICT calories to a number like 500 cal./day, we are sending a signal to slow metabolism and shunt more calories for storage in the event of an interruption in food availability. However, when we eat those 500 calories (assuming that carbohydrate makes up a large percentage thereof), and especially if we are not fat-adapted, there is still a need for insulin to make use of those calories. Insulin makes it impossible to burn stored or dietary fat, so until that insulin is cleared and those carbohydrate calories burned, we have a much harder time accessing stored fat. This feels physically awful. Now, when we fast (or starve), there is no insulin to interrupt fat metabolism and the enzyme profile in the liver changes to one that is more lypolitic and that will allow for ketone production. The beta-hydroxybuterate (one of 3 ketone bodies produced by the liver) is protein-sparing and thus muscle-sparing. This keeps us from metabolizing our own muscle through gluconeogenesis. When you sleep for 8 hours-upon waking you are already getting 4-6% of energy from ketones which means that for most of us, this conversion begins a pretty short time after stopping carbohydrate consumption. If you fast for a day, you start to incur a measurable concentration of ketones in the blood. If you are without food for several days, you become mentally clear and physically sharp. This is because there is a period during which your brain sends starvation signals as it is being starved of glucose and FFAs (free fatty acids) are too large to cross the blood brain barrier and can therefor not be metabolized by brain cells-thusly, starving it for fuel. Once the blood ketone concentration has reached a sufficient level, the brain greedily burns them for fuel (only about 25% of the brain requires glucose). Once this happens, the sense of smell sharpens, the mind becomes clearer, etc. This is why starvation ketosis is absolutely an advantageous evolutionary adaptation. Great and long due article; thank you Mark! Dr. Ron Rosedale by the way, is very much in support of lower metabolism (furnace) then one that revs at high temperatures. As I disclosed in the past, I have Hashimoto and while most of my calories are from fats and no starch, my thyroid levels are better the ever. It took some fine tuning but I got there and I hope it will stay that way. On strenuous days, I do eat a little carbs and a piece of wild fruit/berries or a 1/4-1/2 tsp black strap molasses (in a narrow window) and that’s it….obviously I am not concerned of getting thrown out of ketosis. I do supplement with selenium and against the initial advise of my endocrinologist who was afraid of my TSH flaring up, I started to supplement with 150mcg of potassium iodide a few times a week, as thyroid support, and as a counter balance to the cruciferous vegetables that I eat from time to time (cooked). And again, without negative side effects. Leigh, I work for Primal Blueprint…if you have hashimotos and want to go primal and then eventually keto, contact me for some free information on this, or buy my book THE PALEO THYROID SOLUTION. Hi! May I ask if you are male or female? I tend to think that men do better with low carb and keto style diets than women do, although menopausal women also tend to do better with low carb. Just curious….a little context helps compare my experience. I am menopausal and I still seem to do better with higher carb that keto. That is in terms of sleep and energy. I eat “low carb” but not super low carb. Hi. I would like to chat more with you about what you’re doing. I’ve been nervous to try ketogenic because of Hoshimotos. Might want to start out gradual, just eat carbs once per day only and see how you feel, for other meals eat low carb. .
Hi, sorry for not responding right away as I am at a different time zone. I’ll try to answer everyone best as I can without turning this into an essay and will start by saying that I am a male. I got relief after having wacky thyroid values for the last 10 years. Now my TSH is just above the minimum and my free T4 & free T3 levels are near ideal when at fast, which mean that they are slightly higher or perfect otherwise. It’s also imported to get your blood drawn prior to taking your daily medication. The other change was adding 12.25mcg of cynomel, which is the French equivalent of cytomel and dropping my dose of synthroid to 75mcg per day. Too much T3 dropped my TSH to undetectable levels which was a concern (you don’t want to be hyperthyroid) and made my heart race but each one reacts differently to different dosage. Body temp will also very from person to person and my morning temp is now 36.1c (96.88F) – use to be 34c-35.2c (94-95.36F) and I am not concerned any more about reaching 37c/98.6. I will say that higher temp along with high T3 levels will in essence make you run hotter and increase your appetite, which may lead to weight gain, so be careful what you wish for. All and all, it took me 9+ months to get there. I normally fast from early evening until noon and will then eat 3 organic eggs (mostly sunny side up cooked in grass fed butter) and maybe a few slices of smoked bacon (cured in salt & black pepper only), or eggs and a side of steamed and stir-fried cauliflower in ghee or coconut oil. Or, I may start the day with a cup of my rocket fuel latte (I gave a recipe before). My main source of protein is based on red meat head to tail, offal (hearth, liver, thalamus, the occasional kidney), plenty of grilled bone marrow, lambs meat, fresh wild caught fish (expensive), the occasional oysters (expensive over here but loaded with minerals and iodine), fresh calamari, sardines, mackerel, sprats and tuna all in olive oil. I naturally cook bone broth and add great lakes gelatin to my morning mix of coffee and fats. Cheese is tricky and like nuts, may stall fat loose. On the other hand, 100 grams of 27% sour cream or a pat of cream cheese will quite the belly so try with and without. Sometimes, the items we most like are the one we are most sensitive to. I don’t ever eat rice anymore nor do I eat potatoes, red peppers, tomatoes (several source indicated that they are bad for hashi’) artichokes…as well as most baby greens (mizuna and dandelion for example) and even squash is persona non grata; but I cheat and roast red Kuri squash once in a long while, in a mixture of coconut oil, cinnamon, cacao powder, salt and red chili (a misdemeanor but try it), or toss some green zucchini in some fat – and if I do eat a sweet or purple yam, then only after a workout. I also cut down on bananas (too many carbs with very little value), but after a long ride or exercise, I may buy one or two unripe or semi ripe ones, mash them up together with coconut and almond flour, vanilla and eggs and make pancakes that I cook in coconut butter ( which gives me fats, some carbs and starches); but again, it’s more the exception then the norm. Otherwise, I stick to romaine lettuce, cucumbers, the occasional yellow pepper and red or yellow onion in small amounts (carbs again) and off course avocados in season. I gather my fruits in the great outdoors (Carissa, pitanga, cactus fruit, figs, and dates) and buy my blackberries and raspberries (I eat berries with coconut cream, since the only heavy cream available to me has guar gum as an emulsifier, which is also bad). The above fruits are very small and low in carbs, so I may eat a few per day or none and I am fine with that. But unfortunately I had to give up on blueberries as they are also bad for hashimoto. In general, all stone fruits are supposed to be off limits and so are beans (fresh green are OK) and lentils and off course soy and gluten but you already knew that (so much for my ancestral background). What did I miss? Ah, nuts, nut butters, fats, supplements! Big yes to raw macadamia and pecans (if it’s good it’s expensive; odd ha? ), soaked almonds in cold water, soaked seeds (I’m lukewarm on those) and hazelnuts here and there, grass fed butter, suet, olive oil, coconut oil and coconut butter (I like mixing it with cacao powder) and last but not least, a square of 85% and up bitter sweet chocolate. Almond butter makes me feel funny eating eat and I no longer eat walnuts (acidic for one). I reintroduced Tahini but only from sprouted sesame seeds (oxalates are reduced this way) and will eat a Tbsp. or two every few days for calcium and because it sweet and tasty. In essence, I basically looked at each item and cross referenced it several times with the term hashimoto; something that took me a very long time but here I am. As parting words, if I can ingest that many fats (normally around 65%/75%) without gallbladder and manage my thyroid (the medication gets absorbed via the liver), I believe so can you; just trust yourselves. I’ve also learned that one shouldn’t eat fats like there’s no tomorrow (fat bombs anyone?) if he/she are trying to loose fat or get rid of that stubborn fat around the belly. Certainly use it freely when cooking and hungry but don’t snack on it all day long because it’s “safe”. Most of the times a glass or two of mineral water is what you need. I mainly supplement with 200mcg Selenium (45 minutes after taking medication ) which I took for over a month and then 3X a week, 150mcg Potassium iodide (2X a week since I eat all that sea food – you can eat two nori sheets per day), K2 & natto derived K-7, Vitamin D in MCT oil during winter and sunbath otherwise (top range is 100 and mine around 80), 4mg astaxanthin, B-50 complex and cod liver oil in particular after a workout. I took N-A-C and L-glutamine for a while but can’t say that it made a difference. I am actually fading out most of the above with the exception of astaxanthin, Omega 3, Selenium and iodide. p.s. 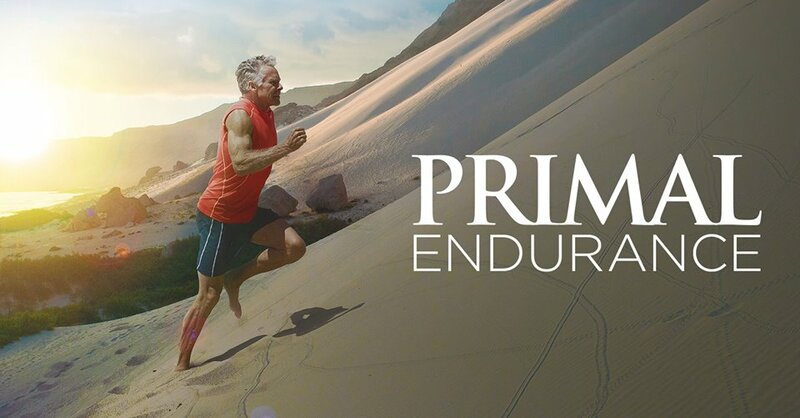 I do have a question: My blood tests indicate that my magnesium levels are adequate and yet, and ever since I went primal in 2012, I suffer from bad leg cramps even though I supplement with magnesium daily (525mcg). I’ve tried every combination out there (except magnesium taurate) including magnesium chloride as a spray prior to activity (can’t go to sleep with stick legs) and brought in black strap molasses, to no avail. Hi Time Traveller. Just a quick question about Cynomel as I am in France and cannot get prescribed anything but Synthyroid for Graves disease – are you in France and if so did you go through your doctor to get it. I am so fed up of hearing about NDT which isn’t available here and am struggling even though I feel so much better on keto. Thanks for any help. Anyway, I replied earlier by saying that it odd not to be able to get a medication that’s manufactured in your own country. You can look up Avantis Sanofi’s email and inquire who in France sell Cynomel [www.sanofi.fr], or you can call the company at +33 1 57632323. Another option is to take a short trip to Belgium, walk into a Pharmacy and buy it there; it’s a stretch but you can also easily obtained it in England in case you or someone you know travel there. Or, locate a French endocrinologist who is willing to write you a prescription for Liothyronine in microcrystalline cellulose capsule, without gluten, lactose or any additives and get it filled at a compounding pharmacy. You will pay out-of-pocket but it’s not that expensive. I would start with 10mcg or 12.5mcg (plus your synthroid dose), get a blood test after 3 month and reassess. That’s what I did, prior to finding out that my national health provider actually kept Cynomel in stock. A 4th option, is to get Cynomel by mail from one of many websites I came across that caters to body builders, who like what it does to their metabolism and body fat percentage (foolish if you ask me). It looks like the real thing but be carefully. Just hit google search for “cynomel on line”. Best of luck! Hi Time Traveler – thanks so much for the several replies. I have an appointment soon so I will indeed try for a GP/Endo prescription first, armed with the knowledge that it is available! Then, if all else fails I will pop over the ‘border’ to Belgium! Thank you for your detailed replies – you have no idea how much I appreciate them! Grokesque, you’re very welcome. I would love to get a future update on how you did. Best! Hi there, TimeTraveler. Thx for the info. For my leg cramps i just increased for a few days my bananas consumption and it worked. Please check “potassium”. Hey, I’ve tried potassium to no avail and I try to stay away from bananas (too many carbs) unless they are fairly green. But guess what, I’ve ordered magnesium chloride oil order and have been pain free for a week now (I spray my legs before going to bed and sometimes before I workout) and without supplements at all. Based on the above, I ordered magnesium Chloride Liquid that can be taken orally and that should cover it. Thanks for the info. I’ll ckeck it out. Thanks for so much information. About your leg cramps. I have a history of having low iron and one of my symptoms is leg cramping. I experience this even when my blood test shows me in lower half of the “normal range.” When I supplement with iron, this goes away. I don’t use much, but it is the only thing that stops it for me. I also eat mostly red meat and cook in an iron skillet at times, so you’d think this wouldn’t be happening. I think it is related to the fact that I have Celiacs. Anyway, might be worth looking into. Hi Casey, you are welcome and thanks for sharing. Maybe I can trade you some, as my body stores iron — ferritins actually (hopefully less now, as I’ve been donating blood quarterly) due to enzyme deficiency (g6pd). As I wrote nearly a week ago, I am amazed that the spray (life-flo) succeeded where various magnesium supplements failed. 4-5 short bursts on my legs before bed time is all I’ve been doing and it works like magic, consider the low dose. I just received today the ingested version (nutricology) and will try it without the spray. Also, I wouldn’t count too much on the blood test (I was tested 2 months ago and it too showed as normal) as labs measure magnesium serum levels instead of cellular levels. Per you celiac, it shouldn’t be an issue once you cut gluten completely from your diet; certainly if a year has passed since. I recently got retested and was told to eat bread again for several weeks to rule out absorption issues. Have you tried Swanson’s mag oil as a footbath in filtered water? I, too, have Hashimotos Disease. I went Keto two weeks ago. I am VERY strict about it (not lazy-Keto) and I feel wonderful. Pounds have dropped off as expected. I shoot for a 100 calorie deficit from what I should be eating and go up 100 calories once a week to keep my metabolism higher. I am WARM for the first time in years. My body is actually creating heat and hasn’t since before I was diagnosed. It has been a wonderful journey thus far. All of the above studies show fats that we don’t use on keto, you should actually avoid. I would love to see studies that are based on the actual fats/diet that is closer to what we eat. Ah, the big question finally answered! I guess it is worth a shot to see how I feel. I’d like to start into a Keto diet, but I have had all my thyroid numbers tested twice to be sure. Both times I have normal numbers except for high Reverse T3. I have a terrible time losing weight. Not sure if Keto or IF is good or bad for me? Give it a try– you’ll know! High reverse T3 means that you don’t have enough regular T3 to get the job done. It blocks uptake of regular T3, but does zero for your metabolism. This has happened to me a couple of times. The fix is to go on an all T3 regimen for a few weeks to kick out the RT3. So, even though “all your other numbers” are normal, you are really hypo. For the record, I had a huge goiter and “normal” numbers for close to 20 years, along with a fibromyalgia diagnosis. Now I have no fibromyalgia, no goiter and I feel pretty darned good. Thanks, what is an all T3 regimen? Thyroid meds come in three kinds – synthetic, like Synthroid (terrible in my opinion, it’s artificial T4, the inactive form of thyroid hormone that has to convert to T3 to be used), Natural Thyroid, like Armour or Naturthroid, which is desiccated pig thyroid – it has ALL the thyroid hormones. T3 I believe is also synthetic, but it’s the active form of the hormone. The brand I use is Cytomel. It’s used a lot less than the other types. I normally supplement with one a day with my Naturthroid. Oh – but when the Reverse T3 goes really high, I use ALL T3 in lieu of Naturthroid. Thanks, I’ll ask my doc about taking Cytomel for a couple of weeks. He’s open to alternative solutions. Do you eat a Keto diet or a Primal diet? You can learn all about Reverse T3 AND T3-only dosing for it in my book THE PALEO THYROID SOLUTION…and I will be posting a KETO-THYROID PODCAST chat with Mark Sisson soon, look out for it on our Primal Blueprint Podcast….we discuss my book THE PALEO THYROID SOLUTION and also talk KETO and THYROID and a bunch of misconceptions around keto and thyroid.. coming in the next 4-6 weeks on our show. Completely depends on why you’re hypothyroid… for instance, if you’re hypothyroid because of stress / cortisol dysfunction, then chances are that your reverse T3 (rT3) has been upregulated thus displacing free T3 (at the cellular level) in an effort to slow you down and get you recovered. Same thing happens when you get sick, or get the flu but with chronic stress, it’s never ending which is why hypothyroid is common here. Going low carb / keto could be disastrous because keto is yet another low-grade chronic stress. Here’s the question… Why are your reverse T3 numbers high? Do you know your FREE T3 numbers? Cortisol is important too but you’d need a 24 hour saliva test to know what’s going on here. In summary, keto is not categorically bad for people with hypothyroid issues… but it could be… it just depends. Susan R, I am in your position and tried 5:2 and did lose 2 stone, however I became very ill. I am still seeing Endocrinologist 18 months on. Have been unable to lose weight for years so hoping he will give me some T3 to help me. T3 being your fat burning mine at the bottom of the range. Currently I am doing 16:8 and it’s easier to stick to. I eat clean, cook from scratch, no meat just fish and veg. Organic beetroot juice I hate but drink it as it’s full of iron and other nutrients. Need my cholesterol to be 4. Only use a little olive oil. Trying to build up to 10,0000 steps a day. Cheap fitness tracker is really helpful. We need carbs but the unrefined type, and quiona is my replacement for rice. Good luck with your journey. I’ve been hypothyroid for 29 years. I’ve been on a ketogenic diet since March of this year, so 5 month now (my version is high protein, moderate fat, low carb – Ketogains diet – 107 grams of protein, 90 grams of fat, 35 grams of carbs only from fruits and veggies per day). My endocrinologist is ecstatic with all of my bloodwork, and for the first time in many, many years my thyroid is completely stabilized. I feel amazing, look amazing, have lost 22 pounds, inflammation is gone, energy has been restored, and all endocrine issue have been stabilized. I think where most fail, is the low protein, high fat approach – that is dangerous. There are many different ways to eat Ketogenic – and the Ketogains way has given me my quality of life back!! Hi Crystal, just curious, have you tested yourself (by blood or even with urine strips or breathalyzer) to see if you actually are in a ketogentic state? From my understanding high protein will likely keep you out of ketosis. Either way, congrats on your results. Yes, I have tested (both), and am in a ketogenic state. I believe you’re referring to gluconeogenisis, which is where your body takes “stuff” that is not glucose and turns it into glucose. The studies which have been done have shown that the rate of GNG does not materially change when protein content of the diet is manipulated (or at least the amount of amino acids taken up by the liver). Staying between .8 to 1.0 grams of protein per pound of lean body mass, and under 25 NET carbs per day keeps the body in ketosis. Thanks for that info, Crystal. That’s where things went wrong for me. I think my protein was too low! I was doing fine on primal/keto till I decided to follow the advice of Nora Gedgaudas and drop my protein to avoid activating mTOR. That’s when my hair started falling out! (AK!!) I’ve since upped my protein again (and up carbs every 3rd day). Hopeful things will improve. Interesting! Thank you for sharing. Maybe I need to give it a shot for a while and see how things go. If you do, try out Ketogains. http://www.ketogains.com They also have a Facebook page. Are you doing alright? Have you tried increasing the amount of calories slightly? Felt better or worse if so? Certainly, I don’t doubt your energy! I’m sure you’re thriving right now. I wanted to open up the possibility as consideration, in case you ever feel you need it! Since we’re all health jeeks in this article, we always want to tinker with our diets, to scavenge each rabbit hole. It’s very important to maintain a flexible attitude and adapt based on your body’s feedback, I believe! So keep doing what you’re doing if it’s working for you. Wow, Crystal that is awesome! 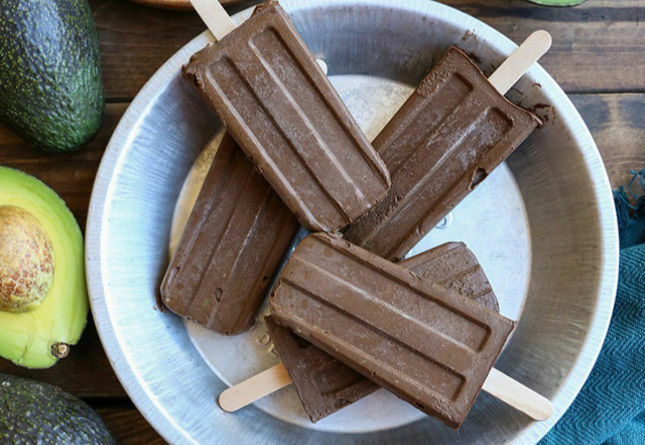 Sounds like a lot of protein but it’s working great for you. Weight loss + improved quality of life is awesome!!! Hi i was hyper for years got i131 2 years ago put on instant 10 lbs now hypo cant lose a pound. Gonna start the keto diet glad to hear some good results. 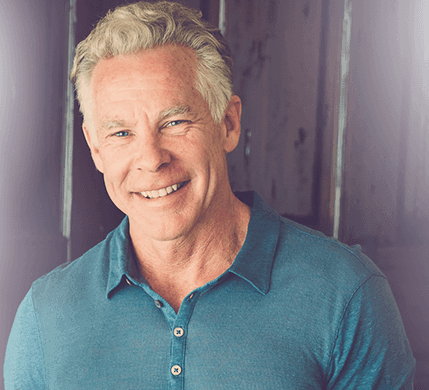 I will be posting a KETO-THYROID PODCAST chat with Mark Sisson soon, look out for it on The Primal Blueprint Podcast….we discuss my book THE PALEO THYROID SOLUTION and also talk KETO and THYROID and a bunch of misconceptions around keto and thyroid. The Paleo Thyroid Solution was the absolute most helpful thing I’ve ever read regarding my throid health – ever. That book opened my eyes to true diagnosis and healing. I began eating Paleo after I read that book, and then gradually went over to Keto. It’s the best thing I ever did! I’ll look out for that podcast. Thanks. I’ve been eating mostly paleo, mostly keto for a few years now. Never had any issues. Currently part of the N Equals Many carnivorous diet trial. More than one week in, no issues. For me this eliminates cheat meals at restaurants, sides to my meat/fish, and alcohol. So glad you published an article about Keto & it’s relation to thyroid function! Unfortunately, I have diagnosed Hypothyroidism after a procedure that removed half of my thyroid (before the surgery, I had hyperthyroidism) I take a medication every day called Armour which is made up on crushed & dried pig thyroid. I have to take this every day for the rest of my life. My significant other has experienced much more drastic results from Keto than I have, and I felt like my thyroid function was to blame. I was sticking to my macros religiously & working out daily with very little weight loss/body fat loss. I haven’t had my bloodwork done in awhile, but I will be very interested to see what the changes are. Long time reader! Great HELPFUL article! Thanks! We’re not keto, but we both have sluggish thyroids. Mine was slow before we hooked onto evolutionary health, but Fiorenzo’s took a turn after he lost quite a lot of weight in the first 6 months of going Primal. He stared coming home from with chilblains on his fingers and toes, which had never happened in 30 years of outdoor work. We’re still trying to work it out, and seem to need that boost from a thyroid stimulant. Interestingly enough, Fi has been practicing Wim Hoff breathing techniques and cold showers for about a year now – with results. Amazing. A few minutes after his practice, his hands and feet will be burning with heat. There’s a definite change happening, which is good. Wim Hof method is nothing short of incredible. Thank you for the article and this perspective. I think that once thyroid dysfunction has already occurred (down regulation for whatever reason) that the body needs more carbohydrates than if the thyroid is functioning properly and someone decides to eat low carb. This has been my experience. I’ve been on a T4/T3 combo for a few years and while I’m not high carb by SAD standards, I’m not low carb by any means. I think I’m a bit insulin resistant, but am too afraid to go back to a low carb style of eating since I’m feeling pretty good and have energy to get through the day. Any thoughts?? Wow, I don’t know if it is related or if my situation exactly fits what Mark means by “disrupted thyroid panels” but I have been eating paleo/primal for the most part and working out for the last 2 years. I lost about 30 pounds over that time frame. The last few times I had regular checkup tests my doctor told me that my TSH was above normal (I think one time it was about 10 and another time about 14). He had me take another test which tested T3 and T4 and they didn’t seem that out of whack so he wasn’t able to come to a conclusion. He wants me to take another detailed test in a few months and if the numbers are the same he said he would refer me to a specialist. I have not felt any of the symptoms that I know of. Could what is happening to me be what Mark is talking about and should I tell my doctor about my diet, or is he likely to blow me off? If you don’t have any signs of thyroid issues, I wouldn’t worry about it too much. Your TSH is pretty high but if your free T3 and reverse T3 look good, you’re good to go. On the other hand, if your TSH is high and your free T3 is low, and you have symptoms of low thyroid, you need to figure the root cause. I enjoy reading your comments on this topic. What do you think the root causes of low TSH, normal Free T4 levels? My doctor tested me twice for T4 and TSH but no T3 for some reason. 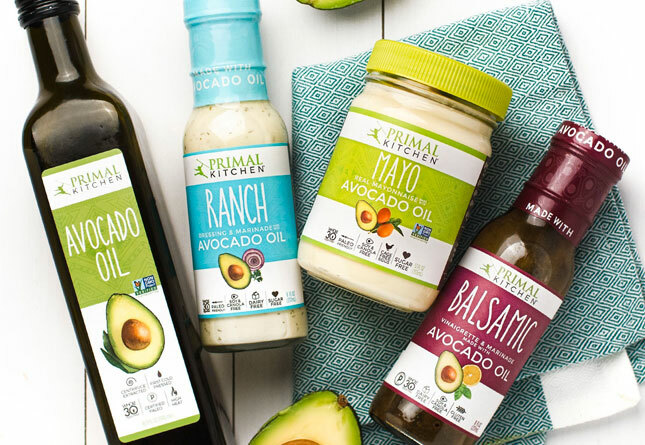 Primal Al…read my book The Paleo Thyroid Solution or go onto our podcast and search Dr. Foresman – we did a Paleo thyroid podcast and one on hyperthryoidism too :-). 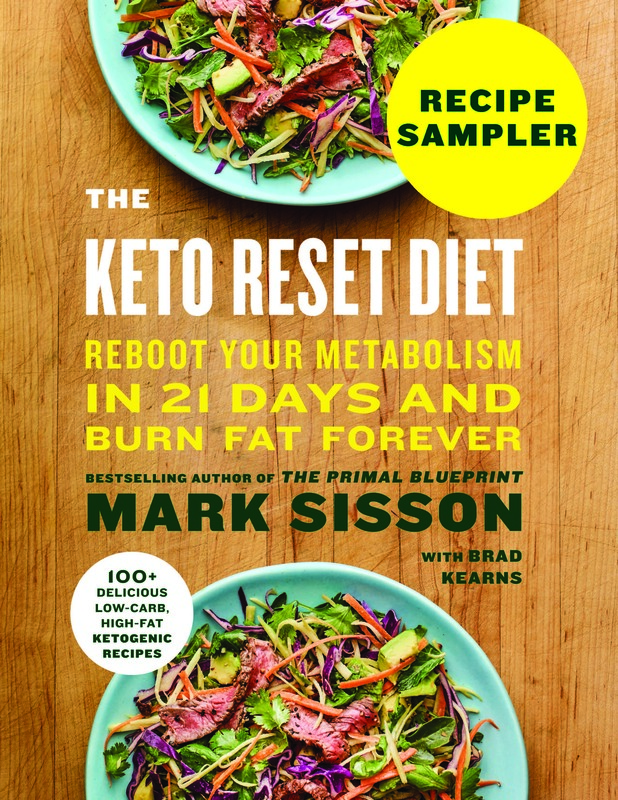 I will be posting a KETO-THYROID PODCAST chat with Mark Sisson soon, look out for it on The Primal Blueprint Podcast….we discuss my book THE PALEO THYROID SOLUTION and also talk KETO and THYROID and a bunch of misconceptions around keto and thyroid. Great article. Question – I had thyroid cancer 15 years ago, had a thyroidectomy and take a synthetic thyroid supplement daily. Would taking a supplement be any different than what you have described in the article? I have been eating keto for over a year. All of a sudden my hair is shedding g more than usual with my hypothyroidism, I feel drained all the time. I heard I should be taking supplements but not sure which ones to take to help with energy and hair loss. Overall doing keto to stay healthy not to lose weight. For most of human history, we effortlessly consumed nose-to-tail nutrition that supported our strength, health and happiness. In the modern world, we unknowingly struggle to fulfill our nutritional needs. The nourishing wisdom that allowed our early ancestors to live a vibrant, disease-free life has been tucked away for convenient, cheap, hyperpalatable food-like products. The most common nutrient deficiencies are also implicated with thyroid health. Vitamin A – Look to liver for real, preformed vitamin A (retinol). If you’re not consuming liver (or) desiccated liver, you’re probably deficient. Vitamin D – Get sensible sun exposure… or, consider a vitamin D3 supplement. Vitamin K – Eat your fermented foods like natto and veggies like kimchi and sauerkraut… or, consider a vitamin K complex supplement. B12 – Again, liver reigns supreme here providing 13.6 mcg (230% DV) of vitamin B12 per serving (6 capsules of our Grassfed Beef Liver). Choline – Liver’s got you covered… pasture-raised egg yolks are also a rich source of choline. Iron – The recurring theme here is liver… and other red meats, oysters and sardines. Iodine – Sea vegetables. Consider organic kelp granules to add in bone broth soup, sprinkle over salad or as a seasoning to all dishes. Selenium – Simple, eat one organic brazil nut a day. Magnesium – It’s really hard to get enough magnesium from diet. Look for a transdermal magnesium oil. Apply before bedtime. Liver fills nutrition gaps more completely than any other food. A whole food, nutrient dense diet provides the nourishment we need in order to express the strongest and healthiest version of ourselves… Food forms the basis of our health. Our biology is truly remarkable as it relates to our ability to heal… we just need to create the right environment for healing to take place. Bruce Lipton’s work regarding The Biology Of Belief demonstrates that we are indeed the architects of our experience. We can, and we do, create cell signals (perceptions) with our thoughts. So stay positive… think about the wonderful things in your life that you’re grateful for… eat like our early ancestors did… move around like our ancestors did… slow down… go barefoot, connect to the earth… get sensible sun exposure… sleep like a rock… keep stress in check… and breathe like Wim Hof! LK after reading Lipton’s book I’m now reading You are the Placebo by Joe Dispenza?, amazing book also, similar to BOB but a little more “modernized” take on epigenetics and not quite as much science to grapple with, or at least less cell biology and more in terms of brain function and the power of the mind. Missed you my good friend!! Thank you for the recommendation.. I just bought it. Currently reading Splendid Savage but will start afterwards. Thank you!! “The nourishing wisdom that allowed our early ancestors to live a vibrant, disease-free life has been tucked away for convenient, cheap, hyperpalatable food-like products.” that’s a great line. I need help framing the importance of diet for myself. This world makes it very difficult to embrace health on all fronts, and that challenge wears me down. Anything I can do or think toward health gives me strength for more good choices. A notice to take is that as much of a one-note solution liver can seem to be, it’s not a solution to everything ALL the time. Defining a frequency for eating that keeps you out of Hypervitaminosis A is important. If you’re gorging on liver every single day, either it’s not the nutritious type of liver, or you’re about to have a bad time. A person would have to eat a 4 to 5oz serving of fresh grass fed beef liver everyday (or) swallow 24 to 30 capsules of desiccated liver everyday just to consume what our early ancestors did. I’m not advocating one doing so but I am advocating for people to include this nourishment in their lives on a consistent, frequent basis rather than shy away from it. Hypervitaminosis A is real… but I wonder how real it is when we get our vitamin A from food (beef or sheep liver)… get our vitamin D from sunshine and get our vitamin K from kimchi and natto… Maybe we don’t need 20,000 IUs of vitamin A per day but we at least need an average of 5,000 per day… that means that we at least need to eat two servings of 4 to 6oz of liver per week… or take four to six capsules of desiccated liver per day. Sorry bout all that… me name’s the Liver King… what’d you expect!! LOL. Your post did get approved. Props to the vitamin-movement analogy in the other response. I wish you would’ve said movement is a fat soluble vitamin. I’d store movement in my body any day of the week! Fantastic post! I have learned so much from you in the hour I have been reading this entire *comments* page. Especially the thyroid markers you posted above. Unfortunately, most people are deficient in vitamin D, A and K. As it relates to vitamin A, our early ancestors would have consumed north of 20,000 IUs of vitamin A per day. They probably would have consumed plenty of sunshine too!! Vitamin A and vitamin D work cooperatively and protectively (to prevent toxicity) together. Of course, vitamin K plays a key role here too. A person would have to eat a 4 to 5oz serving of fresh grass fed beef liver everyday (or) swallow 24 to 30 capsules of desiccated liver everyday just to consume what our early ancestors did in vitamin A. I’m not advocating one doing so but I am advocating for people to include this nourishment in their lives on a consistent, frequent basis rather than shy away from it. Hypervitaminosis A is real… but I wonder how real it is when we get our vitamin A from food (grass fed beef or sheep liver)… get our vitamin D from sunshine and get our vitamin K from kimchi and natto… Maybe we don’t need north of 20,000 IUs of vitamin A per day but we at least need an average of 5,000 per day… that means that we at least need to eat two servings of 4 to 6oz of liver per week… or take four to six capsules of desiccated liver per day. Liver fills nutrition gaps more completely than any other food… it’s amazing how many people are deficient in key nutrients that beef liver supplies (vitamin A, B12, choline, folate, iron)… it’s even more amazing when you read how incredibly well people are doing after they start incorporating it into their lives on a frequent basis. Look at any of the desiccated liver products on Amazon… randomly read a few of the reviews… tell me what you think! Sorry bout all that… me name be Liver King… what’d you expect!! Original response didn’t get approved… maybe too many sources sited with urls. What I mean is gorging: I love liver of all kinds so much that it has the potential to become “one-note” to me. If I could, I’d replace all meat with it. Which can definitely be a problem. I think the attitude of controlled frequency may not be so important to those used to SAD diets that aren’t fans of offal… But this is always relative based on the person. You may have a point about the combination of vitamin A, D & K. Perhaps even gorging wouldn’t be a problem if you stayed in the sun a lot & ate a lot of fermented stuff. I’m definitely more prone to sit indoors. LOL!! Now I wish the first post did not get approved!! I was so proud of the vitamin-movement analogy. Always find value in chatting with you my friend. Me too! You know a lot of things & I learnt a lot from reading your comments. Gotta love your enthusiastic. Keep up! Oh wow, talk about timely! I have been intermittent fasting for 3 weeks now, only eating a normal-sized evening meal with normal carb amounts, and have definitely been keto during the day. I feel great mentally and I’m shedding some unwantend pounds, but the last few I have noticed that it hurts a bit when I swallow! I don’t understand why all the people who push the”keto” diet never give props to Robert C. Atkins and the Atkins diet. I will understand if it is said that every average Joe believed the fake news media. So… if keto HAS tanked your thyroid, what’s the solution? I was kinda hoping that would have been addressed in the article. I’m currently doing keto for 2 days, then higher carb/protein every 3rd day (David Jockers recently recommended this). Been on thyroid supplementation for 50 years now; body does NOT see the natural stuff, only the synthetic. Keto has been great for me. I’m in the best shape I have ever been. Eat lots of veg, wee bits of fruit, some animal protein and healthy fat. Have to be careful to ‘listen’ to what the body wants: some days I need meat, some not, and I don’t do well on a lot of fat. No grains, dairy, sugars, alcohol, off most nuts after blood work to check antibodies. 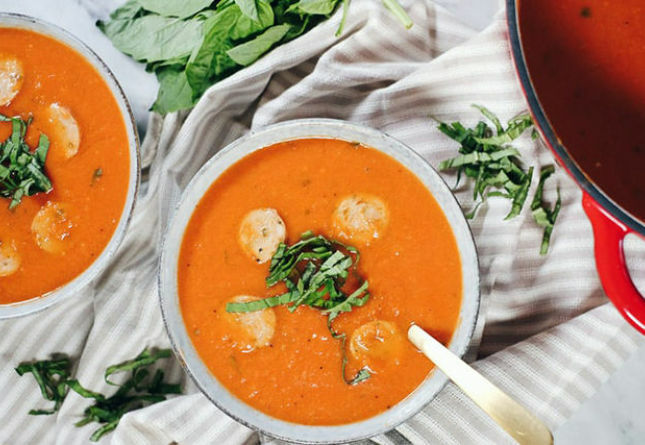 Definitely NOT starving, though: soups, stews, salads galore. I will say this, the Keto diet i looked at for my seizures, it was originally a seizure diet, and my docs said no way. I’ve been on Primal with a low carb and pretty much keto approach for about 7 years. I’m a CrossFit Master athlete and my performance has never suffered as a result of not dumping on tremendous amounts of carbs to support my training. On the opposite, I find that my performance has exponentially improved over time. I do carb refeeds at least once every two weeks, but less than 16 hours after that my ketone readings are already past 0.8. Curiously, I am hypothyroid, which I’ve been for the past 25 years. I take synthroid daily. My thyroid has never suffered as a result of combining Primal keto lifestyle with crossfit. Probably because I have been cautious not to go hypocaloric and maybe the occasional refeeds also help? I’m always questioning if my approach is the best that I could take in order to maintain and improve my performance and I’ve experimented with more carbs, but to be honest, to no success. And I always go back to my low carb keto lifestyle as I find that it’s what suits me best! This is a good point. I am 48 year-old female. Perimenapausal. At the beginning of 2017, my HbA1C was 5.3. I also use a glucometer to test my blood sugar after meals. My BS sometimes went to 180 2 hours after meal. So, they were too high. So, LCHF might have effects on thyroid function. But so can other hormones such as estrogen and pregestrone. My situation fits what Mark has described. I am waiting to see what my TSH will be in another month. very interesting, as I’m on ketogenic diet since 5 months not to lose weigh (oh yes Im’ 57 and I just lost 5 kg around my hips for ex) back to my 20 weigh and French 36 size. I feel great so I don’t bother with my thyroid, but if symptoms would occur, I’ll know! Before keto, Ive always been ok with high or low temperatures, and it’s the same now. I live on Réunion island (no grass fed cattle, only big toxic fish, good poultry and organic eggs)and now it’s winter, and the sea is cooler than in summer, and I experienced the same thing when I swim in France in may, I fell the warmth of my body in the much cooler sea, and that’s new and great! Hi Mark. Thanks, that’s great to know about the research. I have read elsewhere that much of the ketogenic diet research that’s been done in humans has been done in young healthy males. Since male and female hormones are different this was proposed to be a reason that women in general don’t tolerate a ketogenic diet so well and caused T3 to become lower. It was suggested that women should have small serves of starchy carbs twice a day. I’ve sort of followed this with my clients who are predominantly women- if they’re re relatively inactive I get them to have 1/2 cup twice a day and I’ve found most of them are able to function better and prevent cravings than on a ketogenic diet. Have you seen any research on the differences between men and women following a ketogenic diet? Thanks! Keep up the great articles. The first research article referenced used processed oil which keto diets explicitly tells to avoid. The research article referenced doesn’t prove anything. Vegetables are allowed in keto but with some exceptions. I am following moderate consumption of total carbs 100 to 130 g especially processed carbs, total fat intake to 80 to 100 g, protein between 50 to 100 g and I feel great. Great article! I’ve been eating Keto for many years and believe Icelandic seaweed has been a key part of feeling amazing. Love this article! I’ve been following higher carb paleo with my Hashimotos, but I’m not losing any body fat, so I’ll give this a go. All of you seem very knowledgeable about thyroid diets/supplements. Any recommended resources for someone new to the topic? I am hypo but have only been treating with synthroid and I still gain weight and have high cholesterol unless I eat vegetarian and I only lose weight if I eat vegan (or only juice/do smoothies). It is all very frustrating. I’m one of those who had a bad experience from a no carb-high saturated fat diet. Cold hands and feet in the middle of summer, sleeping 10 or more hours every night, hair falling out, and finally my first incidence of angina leading to a stent in a coronary artery. Never again. I eat pretty normally now and have had no problems since. The thing is, not everyone’s body is the same, and there is no one special diet that works for everyone. Mark, a no-carb diet would also exclude vegetables, fruit, nuts, and practically everything else. Are you referring to grain and other starchy carbs, or were you eating nothing but protein and fat (a bad idea)? However, you’re right about everyone being different. A true keto diet works well for some medical issues, but IMO is less than desirable as a long-term eating plan. It’s too restrictive in terms of nutrients necessary for proper body functioning. For the same reason, a diet high in saturated fat might not be the best idea. I’m a believer in sticking with a diet high in vegies with moderate protein, some fruit, and sufficient fats but not going overboard in that department–in other words a fairly normal but still (80/20 to 90/20) Paleo diet. The extreme end of the spectrum, although enticing to many people, is probably best avoided for sustained optimal health. I did eat vegetables – carrots, celery, onions, zucchini, cukes, cooked cruciferous veggies, so it wasn’t like I was only eating meat and fat. So these were low-calorie veggies I was eating. No legumes or grains. I am very curious to learn more about your experience. I have pain moving around my upper body, lots of gas and now low TSH while normal Free T4 levels. My Dr sent me for ultrasound to have a look at my gallbladder and pancreas so I am waiting for the results. He didnt do any lab work for Free T3, or Reverse T3 etc. I recently did a ketosis style eating where I tried to maintain 70 % fat, 20% protein and 10% carbs for about a week. I was not getting enough calories but it was hard to up the calories and refigure all those macro percentages. I did lose weight, not that I was trying to. I was so tired and during that week of ketosis phase, I had a blood test which revealed that my T3 levels tanked! My doctor told me to double my thyroid medicine to get my levels back up! My T3 level was sort of on the low side to begin with so apparently, not getting enough calories while doing Ketosis worked against me. I did eat a lot of wild caught salmon during that week of Ketosis eating. I’ve had huge success on a nutritional keto diet. I’ve ditched my heartburn medication after 25 years of absolute sufferring and believe me when I say I tried everything. Im an extremely fit, lean and healthy 47 year old male. My partner suffers from Hashimoto’s thyroid and after 2 months of no medication she feels even better than when she was on the medication. She has had hypothyroidism for 10 years and we are seeing fantastic results across the board. I cannot praise the keto diet enough….just do it the right way. Keep up the cruciferous vegetables, salads and the good oils. Ditch the nasty oils like canola, soybean etc and keep the inflammatory omega 6’s to a minimum. I live on coconut oil, avocado oil, flaxseed oil, high fat nuts, seeds and organic eggs. I limit my dairy and go for unsweetened almond milk as an alternative. Listen to your body and adjust the keto diet to suit YOU. Life changing diet! yes I’m on keto, I eat one meal a day , breakfast. I live in Réunion Island where half the year we get super avocados, but the cattle eat industrial stuff, fish are big and from hot seas, no omega3, si I take once a day a DHA pill, eat organic eggs and poultry, home made milk kefir (pasteurised milk) and I feel well, I just lost the 5 kg that I prefer not to have, and now keep my weight . I check my acetone expired with ketonix, and curiously at the beginning 5 months ago, the results where very high , and they drop since, around 10 ppm (85ppm before) I wonder what it means, but as I feel well, I think that’s ok??? Very interesting take! It would be really cool to see research comparing keto with high PUFA consumption to Keto with majority MUFA/SFA consumption. The issue with ketogenic diets is that your T3 levels tend to go south. I have seen research showing this to be the case when consuming up to 50g net carbs, but I have also seen research demonstrating that this happens at up to 73g/day. Additionally, your reverse T3 levels may go up. The idea that the kind of fat you eat might also be a factor is interesting though. Okay, so if I have lots of energy and can go almost all day without getting hungry, I’m a fat burner with a healthy thyroid? Problem is that if I eat more than two paleo meals in a day, I gain weight and then even with fasting, I can’t seem to lose weight. Have I just taught my body to be efficient on an extremely low calorie level? Can i change this? I am Eva, a ketoer from Hungary. I have been maintaining keto/low carb lifestyle with plenty of joyful resistance training and running for three years. No calory deficiency. Normal weight, muscular composition. I am strong, optimistic and alive. I am a healed patient with Graves syndrome. Today I was given my blood test. My TSH is great: 1.53 IUl/ml, TRAK is 0.63 and anti TPO is 26.41. fT4 is 15.79. Yet, I have a slightly low fT3: 3.66 pmol/l and my thyreoglobulin antibodies are way too high, 794. Its normal range is between 0 and 115. I haven’t found any article about this antibody stuff. Can it be normal? Thanks for this article. I have been bummed because the keto diet really messed me up. I was excited about the diet because I actually lost weight and had reduced inflammation….but I had zero energy, couldn’t think straight, lost my hair, my voice got really gravelly and my throat was hurting. I might have been having symptoms of hypothyroidism before I started keto though as I had been dealing with a ten pound weight gain and a lack of energy. I also eat completely organic and natural and don’t use any oils besides olive, coconut and avocado oils. Happy that my energy is back to normal with thyroid hormones so I can get back in shape. Mark, thank you for this! I have been doing Keto for almost 6 months and my thyroid meds have doubled in strength. My daughter (who has symptoms of hypoT) has been on Keto for 3 weeks and has lost 3 and gained back 2 of those lbs. So I am now trying to figure out what to adjust and how to do that, without gaining MY weight back. I’ve lost 14 lbs. I have hashimotos and adrenal fatigue and was diagnosed with both 2-3 years ago. I went AIP and felt worse. This past summer I did Keto and felt fantastic and lost lots of weight. Then I went on multiple long vacations and gained my weight back and more. I’ve been back on Keto for 2 months and my weight loss has been super slow compared to the first time. Also, I have been exercising less because I don’t seem to have as much energy as last time. But then again, it is fall in the NW (no sun), and I am going through a difficult time mentally/emotionally. I keep wondering if I should switch to a different woe and see if that makes any difference. I am also worried about my adrenals. I keep reading conflicting information about Keto and IF and impacting them negatively. I take liothryonine for my thyroid, I was on synthroid for a bit, but my cells were blocking it and it made my symptoms worse. It was almost like I had Alzheimer’s my brain function was so low. I do better with the Lio, though to be honest, the only thing I see that it does for me is let my body lose weight. Otherwise, all my symptoms are the same unless treated wth food. I guess I’m still unclear as to what the results of this article mean for me. When do I say, well, maybe this isn’t working for me and try something else? Plus, there’s the fear that I’ll gain back the weight I’ve lost and I’ve still got so long to go to get to my ideal weight. What an amazing article! So would love to hear your thoughts. Been trying Keto for about 2-3 months. Like I do with every diet change, i run comprehensive blood test on myself to see whats going on i side and compare to how i feel outside. Also to start i suffer from hypertension. Im male….. 6’2 …..166lbs…..heaviest ever was 183lbs. I have approached my 3 month mark of a ketosis diet. From grass fed meat, to ghee, to Bulletproof’s Brain Octane oil. Bacon, Avocado, Fish. Is what i have eaten the past month. I just ran a comprehensive metabolic panel as well as a comprehensive thyroid panel. Results came back and was a bit shock and was wondering if you could shed some light. My lipid overall were ok except my triglycerides were way up. I will start by saying my tri’s have never been up dont think Ive ever seen them past 68. This go around they were 178. What is confusing is my total chol is 156. Ldl is 64 and hdl is 54. Tot. Chol/HDL ratio os 2.9. Why just an increase in Tri’s and nothing else. In comparison to my prior lipids, results are almost identicle except for tri’s. On the outside physically feel great, mentally i get moody…..always nervous for no reason, foggy with concentration snd I thought ketosis would do the opposite. Any thoughts on how to get thyroid back online and functioning properly? Could that be part of thr culprit of the hyperthyroidism? Can you please talk how to overcome hair loss (not temporary) and frequent fat indigestion (with pain and chills) when eating keto? There seem to be a lot of medical professionals with a vested interest in killing the credibility of the Keto way of eating. 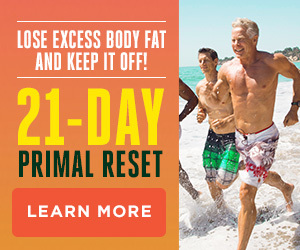 I am an alternative physician (Dr. of Homeopathy & Heilkunst) and I’ve been eating Keto since late June and once I became fat-adapted (to coin a term from Dr. Mercola’s book Fat For Fuel) I began cycling in a weekly “feast” day. I have been hypothyroid for about 22 years and though I’ve done many things to fix this, I finally have accepted it and stopped stopping my hormone. A couple of years ago I began adding iodine to my daily regimen and loved the results because it gave me that much more energy and warmth. It took a bit of observation and trial and error to get the right doses of my thyroid hormone plus the iodine (and should be done under the supervision of a medical professional) but I finally found that my regular hormone intake plus 6mg’s of daily Iadoral iodine was perfect for me. However this did NOT assist with weight loss. But I have found that in the last couple of months I have had symptoms of hyperthyroid and so I stopped the iodine. Now I realise this is likely because of the ketogenic eating, and I agree that it seems like it is adaptogenic and not a “negative side effect”. I do plan on having a thyroid panel done next week however, because I do feel exceedingly cold but if I continue on the daily iodine other symptoms are much too intense. I have never found keto to be a quick weight loss, so it seems to be about the same as always. But I am a naturally curvy woman and I think I am pretty close to my ideal weight now and so maybe it has slowed; not sure… I have eaten a very clean, healthy diet for about 8 years now but continued to struggle with my weight especially as time ticked on. But keto has been the solution to this and I love how it leaves a female body with its trademark curves and only targets stored fat! And I love how I feel with this way of life. In fact, I don’t enjoy the “feast” days because I can feel the jumps in blood sugar and I don’t like it! (Hmm, perhaps I should take the extra iodine on the feast days!! I do it however, because I understand the science behind it and because it isn’t ideal to stay in ketosis indefinitely. I should add that I only eat “healthy” fats such as from animals, avocados, coconuts, olives and a bit of nuts and seeds. Thanks again for such an excellent and informed article! I had my thyroid removed and gained 20+ lbs. I am on synthroid and feel fine. I also think there has to be hope that i can reverse this gain. Please help! Interesting article–it’s always helpful to spell out acronyms the first time you use them to make the info more accessible to everyone or link to more information on them. I don’t know what PUFA and SFA/MUFA are–I will google it, but it’s so helpful to have the info right in the blog. Was just googeiling this subject, cause this is what I just experienced. I’ve been in ketosis for 6.5 month, and I already have hashimoto tyreoditis. 2 month ago, I felt something was off, i started having trouble sleeping and felt very restless and my eyes where sore, So i went to my doctor, asking for a bloodtest to check my thyroidis status. And as I suspectied I was to high. Next bloodtest he found that my T4 was far to high, but my T3 was a bit to low. So new medisins, not only levaxin, but also liothyronin. What I wonder: Is my thyroid status going to change back if i go back to high carb living? Hi Mark, I have been in ketosis for 5 months, after much study on the topic, not just in your writings but others as well. And I have purchased your book and others. I’m following a ketogenic diet which is 80% fat 15% protein and 5% carb, at 1200 calories a day. My recent Wellness checkup showed my thyroid to be at 4.2 which is pretty high, but I’m inclined to think that’s good. And my LDL was at 170, HDL I think 1:40. My question is, is it normal for the thyroid to be that high? I feel fantastic, I have lost 50 of the 80 lbs that I needed to lose, and I get to go shopping for new clothes almost every other month! What’s not to like? Thanks for all you do! Your comments about the extra T3 that’s needed to metabolize carbs fits exactly with my experience. I have no thyroid gland, as it was ablated many years ago due to Graves disease. As a result I’m on complete thyroid replacement (dessicated natural thyroid). What this means is that I can monitor my thyroid usage in correlation with my dieg. Over recent years Ive mostly stayed very low carb, and my TSH and T3 have been very low, though I have no hyperthyroid symptoms. However, when I go “off the keto reservation” and consume substantial amounts of carbs, I become hypothyroid, with all clinical symptoms, within a few weeks, and have to either increase my dose or cut back on carbs. Very tight correlation. So looks to me like when I eat carbs i’m using up my T3 at a much greater rate than when I’m on keto. If I understand, though I have T3 low and high TSH, supposed hypothyroidism, I have no symptoms of hypo, so that would be no problem. 14 days into ketosis and I feel like abolsute crud. I have Hashimoto’s and pretty sure I ranked my thyroid. My question is … does it get better ? Does it balance out as my body heals ? Should I push through it to find light at the end of the tunnel ? I really need to drop some weight it I’ve gained 4 lbs on Keto and like I said feeling super cruddy. Mark, I don’t see thyroid addressed in The Keto Reset diet I just purchased. I’m on synthyroid and have long standing hypo thyroid condition (diagnosis at 9 yrs). Do you recommend plant carbs at night as does other Keto diet sources ie, having cauliflower or broccoli later than at mid day? Since being on a ketogenic diet my nose and feet are cold whenever I’m inside (air conditioned, it’s Florida). My thyroid numbers are normal except for a high reverse T3, so my doctor says it is fine. I avoid seed oils, and my weight loss is reasonably slow. My a1c is (finally) great, so I’m committed to staying low carb. But I’d welcome any suggestions to increase my metabolism, if such a thing is possible. I tried keto 10 days now. Not feel good. Haven’t lost weigh. I am tired all the time. No energy to exercise or even walk. I think it has sth to do with my thyroid. I am truly seeking advice. What if you don’t have a thyroid due to cancer? Does it mess up your levels on Synthroid? My hypothalamus is back to acting like it can’t process again, so on top of feeling absolutely puney most of the past few days I also have the side effects of my damaged hypothalamus acting up again. Is there something this over 60, post menopause, post cancer and transplanted hypothalamus, post gastric bypass grandma can do to counter act the effects of being on this diet? The symptoms didn’t show up until the end of the second week. I’ve dropped almost 10 lbs. but if I cannot get relief, this diet won’t work. And I will be back to adding weight instead of losing. I’ve been working out at the gym for over a year with no weight loss. Only a few inches here and there are gone. This diet has helped with the horrible cravings I usually try to ignore. But I feel like the first few weeks out of surgery when I was popping calcium every hour or two. I’ve even begun taking potassium because my legs are cramping as well. I know I’m a mess. I stopped my B12 till it drops to normal, what, and also cut back my D3 to 2000IU until they drop to normal range. I have been on Keto diet for 8 1/2 months. Can you give me some insight into what I might consider doing, also you’re perspective on what my Cholestrol levels mean. My doctor says we are looking at putting you on medication, meaning Statin. I said no. Started NSNG did not lose any wt had thyroid checked low started armour lost 10 pounds but now stuck. Trying alternate day fasting. The days I fast I’m cold ( also have Raynauds) I’m 5’4” 150 still need to lose.